On Monday 20th February, Springbank released a guaranteed website killer in the form of the uber virus known as simply Local Barley, which proved more effective than any Millennium scenario. Striking at sites across the hemisphere this ghostly apparition was only fleetingly sighted despite the efforts of many to find an example. Telephones in whisky shops across the country rang off the hook and many whisky enthusiasts were left empty handed. Joking aside, actually snaring a bottling of this 11-year-old Local Barley release has been pretty difficult. I’ve noticed remarkable speed and efficiency from many online who literally bagged a bottle within seconds of it appearing online. What is saddening is that many of these will be destined for the secondary market which is currently very buoyant for all things limited with potential for a quick profit. It’s a sign of the times and the increased focus on the investment potential that is dragging prices to a new level. To many its easy money whilst to the rest of us it’s actually a whisky. Despite being an edition of 9000 worldwide, I’ve never experienced such a demand around a release as this until now. Oddly the 2016 debut release was popular, but I do remember seeing it on sale in Edinburgh weeks after its arrival. Again we’re back to that flipper scenario and anything with potential resale value being immensely sought after. 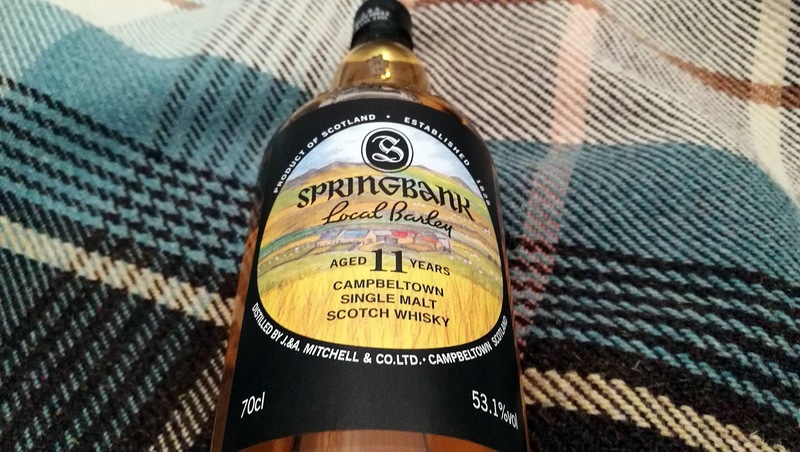 Springbank to their credit put out a statement regarding the release and pricing which was unusual but in retrospect was a brilliant move as it anticipated how crazy things would become. Funnily they even suggest that a suggested retail price in excess of £80 for an 11-year-old whisky maybe seen as expensive. That’s a factor in the demand as even whilst Springbank make a profit here, they’ve not been greedy but others sadly will cash-in on the opportunity. My own interest in this release is purely about the whisky and in particular the use of the bere grain that constitutes the local barley title. This type of ancient grain I associate with Orkney, as its extremely hardy and copes with the variable conditions on the island that kills off other types of barley. If you have the chance to visit Orkney then you’ll see that bere is used in various traditional dishes and has a hearty, fulfilling dynamic. Many enthusiasts will associate bere with two experimental releases from the Arran and Bruichladdich distilleries. 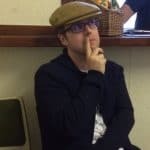 Reviewing the Arran Orkney Berebottling in 2013, I enjoyed the bottling but felt it could have benefited from a more sustained period of maturation. The Bruichladdich bottling was less convincing from memory, but again an interesting footnote in history. Whilst bere is a hardy crop it does result in less of a yield for distillers and can be very coarse and difficult to work with resulting in a reduction of 10% fewer litres of alcohol from every tonne of barley. Back in the 18th century when its use was widespread, production efficiency and yields were not on the local distillery agenda. However with all the debate nowadays about the lost flavours of whisky which have been replaced by computerisation and efficient strains of barley, I find it very interesting to experience what bere could potentially offer us. Of course it’s a scarce grain as no farmer these days really grows this barley without a good reason making it very rare. Whilst I’m not a huge fan of Bruichladdich, the influence of terroir is fascinating and Springbank are in a better position to pursue such an investigation with this bottling. The cost of the bottling has been described as significantly more due to the use of local Kintyre barley. Then there are the production difficulties turning it into whisky and I recall that bere previously played havoc with the Bruichladdich mashtun. That’s some of my interest explained at least. Now it’s time for the review itself but just for now let’s remind ourselves of the facts. Namely this was distilled in 2006 before being bottled at 11 years of age at 53.1% strength. The bere barley was supplied by Aros Farm on the Kintyre resulting in an outturn of 9000 bottles with a general retail price of £84.95. Now that number is 8999 as we’ve opened this fella to review. On the nose: it’s quite malty at first and distinctly not Springbank initially. There’s lemon sponge cake and a biscuit aspect that reminds me of having those Bere Bannock’s on Orkney. Then the earth and a touch of diesel comes through which is what I associate with this Campbeltown distillery. A little candle wax, vanilla nougat, Highland toffee and some dried fruits as well. In the mouth: very creamy with plenty of vanilla but more substance and earth with a sprinkling of black pepper. An assortment of bar nuts, maple syrup was my first thought but returning its changed into salted caramel popcorn. Rolled tobacco and just something I cannot get my head around, then there’s the fruits jam-like blackberries and the an oily nature with added water. A stonker and one that I felt just kept developing in the glass. Intoxicating stuff from Springbank and shows what these old grains are capable of. It certainly has the wow factor.